Earlier the makers of the upcoming Zombie-Comedy Go Goa Gone had released the first song Slowly Slowly from the movie, And it became very famous with the Youth on the social-networking sites and YouTube. Today, A new song from the movie called ‘Khoon Choos Le’ got released and from the very moment the song got uploaded on Sony Music’s official YouTube channel, It saw Maximum Shares and Clicks withing few hours. The song talks about the normal office going Youth’s and their irritations when they party hard on Saturday’s and Sunday’s and suddenly on Monday, They have to wake up early and get going to their Jobs. Go Goa Gone stars Saif Ali Khan, Kunal Khemu, Vir Das, Anand Tiwari and Puja Gupta in the lead roles. The makers insist the film to be a first Zom-Com in Indian Cinema which is directed by Raj Nidimoru and Krishna D.K. 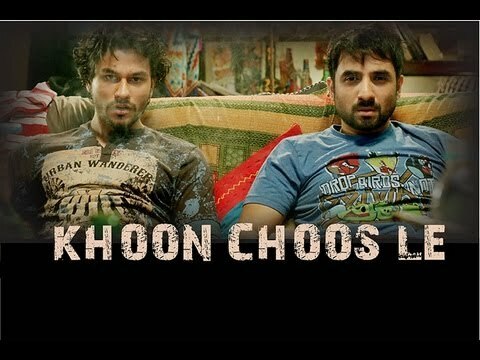 The song Khoon Choos Le features Kunal Khemu and Vir Das in the lead. Go Goa Gone is all set to hit cinema’s worldwide on May 10th. Whitney Houston’s Daughter Krissi Got Married Without A Pre-nup!